It's a big blank slate right now and obviously I'm not a bed making perfectionist. What should I do with this room? And then I thought there are some things I really love about this blank slate already. Love my print on the wall by Tom Caldwell. 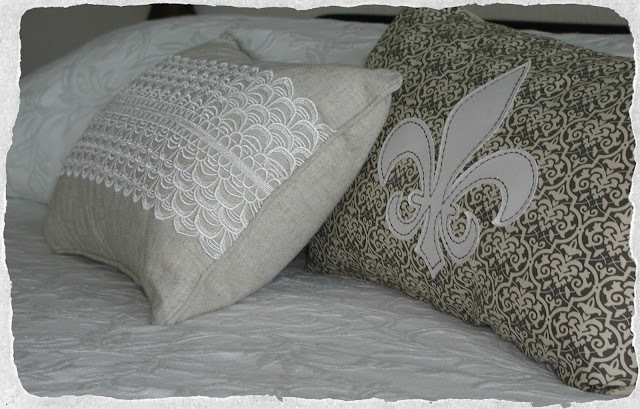 Love these two pillows that I purchased at Laurie Anna's Vintage Home last weekend. You can be jealous, her store is 45 minutes from my new house. I will be going there every month. But I really love this kitty and she loves this spot on the bed. There's just nothing better than watching Sophie sleep. I think your bedroom has a lot of personality! It's very comfortable and cozy...I love your new pillows! And the kitty is precious! 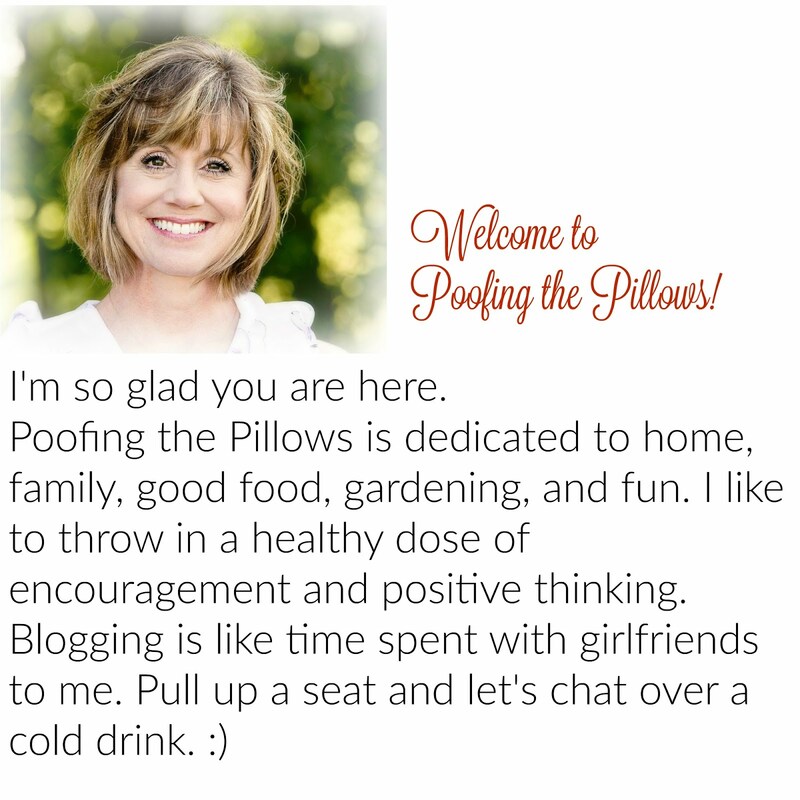 Oh, gosh, Stacey, those pillows are beautiful. I can see an obsession coming on! LOL! What a beautiful space! I would inject a bit of color/personality into the space with fabric or paint. What a beautiful room!! I love your picture above your bed, and your kitty is cute too!! You are so lucky to have her shop close by! I think she is amazing! and I love your sweet friend all curled up! Love your new pillows and your furry friend, too. Your blog design is wonderful!!! I agree that your kitty is the best thing on your bed! You're lucky to live so close to Laurianna's. You're going to find the neatest stuff. Your pillows are very pretty. 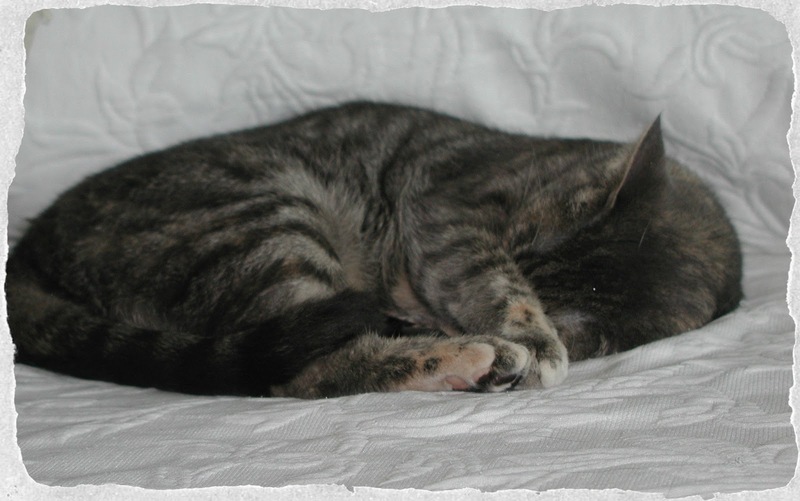 And I quite agree, there's just nothing better than watching a kitty cat sleep in their favorite place. My own sweet Miss Kitty is no longer with us, but I think of her often. Enjoyed seeing your Sophie. BTW, my first time visit. Enjoyed it very much. Thank you. Wishing you more of those glimpses of heaven in unexpected places. I like having a peaceful bedroom...a little less stuff so that it's a refuge. Yours is very calming! I'm happy to see you blogging! I read down and saw that you had moved! I'm glad to be catching up with you. I STILL say, Poofing the pillows every time I fluff! Hugs! my goodness. I know I signed up to follow you months ago..
thanks for stopping by and liking my art.. I have a bed in my guest room a lot like yours and I havent figured out what to do in there yet. I LOVE yours~! wish I still had my kitty MsElizaDonothin' to cuddle up on it when I do finally work some magic in there..
ps-going to try to become a follower again so I dont miss your posts..
OH my gosh we did lose track, didn't we. I shut down my blog for awhile then had to rebuild and let me tell you that was a challenge cuz of all the blogs I followed. So fate has brought us back together again :) I will add you to my blog roll so you will be a constant reminder. About the bedroom. Girlfriend, you have such a beautiful space to work with with beautiful things. If I was you I would beef up the bed. Maybe some Euro pillows layered with standards then your toss pillows. How about a throw or quilt at the foot of the bed? The lamp is adorable but you could bring in more color by adding a bigger, colorful lamp. I adore your fabric panels on the windows as well as everything you've done so far. How fun for you to have this canvas to work on! The touches you added are just right in creating a calming and beautiful looking bedroom. I think it would be dangerous for me to live so close to Laurie Anna's store. Lucky you! Your cat looks so cozy and comfy. One thing you didn't mention is your coverlet. I think it's stunning. I think your room is peaceful and lovely! Your bedroom is pretty...you are very lucky to be close to LaurieAnna's...have a great weekend. Oohhh, I have that same bed, but I definitely need some pillows to dress it up a little. 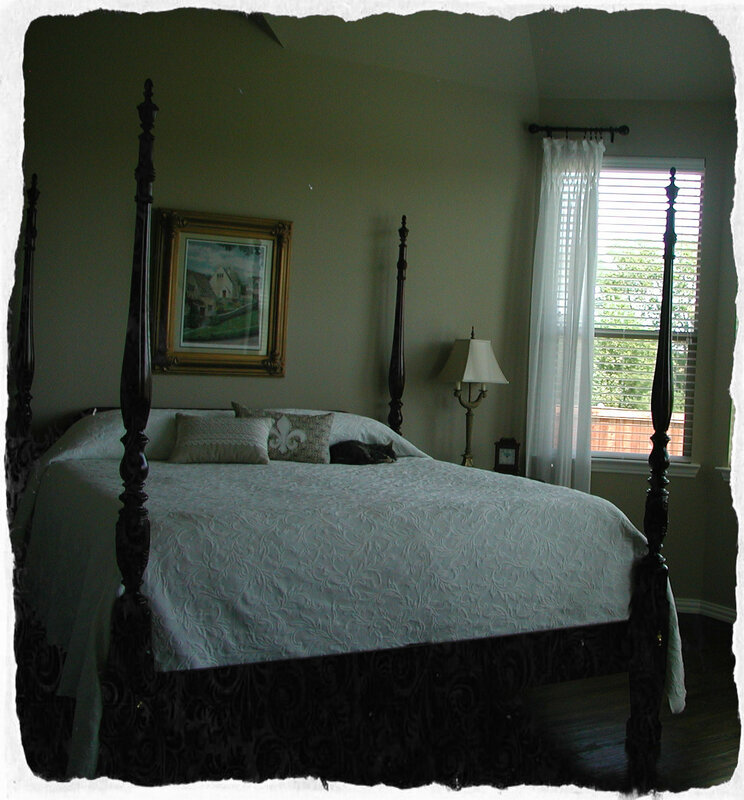 I love the classic lines of your bed and coverlet! Thanks so much for dropping by. I think you will have fun decorating your new home. You will be able to create your home sweet home in no time! The bed is lovely with the classic coverlet and gorgeous pillows. I have never moved so far away so I can only imagine how you must feel. Such a peaceful room, as Miss Sophie has all figured out. And I love your pillows ... lucky YOU to be so close to LaurieAnna! Have a wonderful weekend...and yes, I remember Gunsmoke!